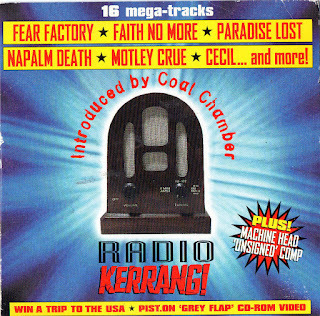 Faith No More released Stripsearch, their final single before they split on January 12th 1998. 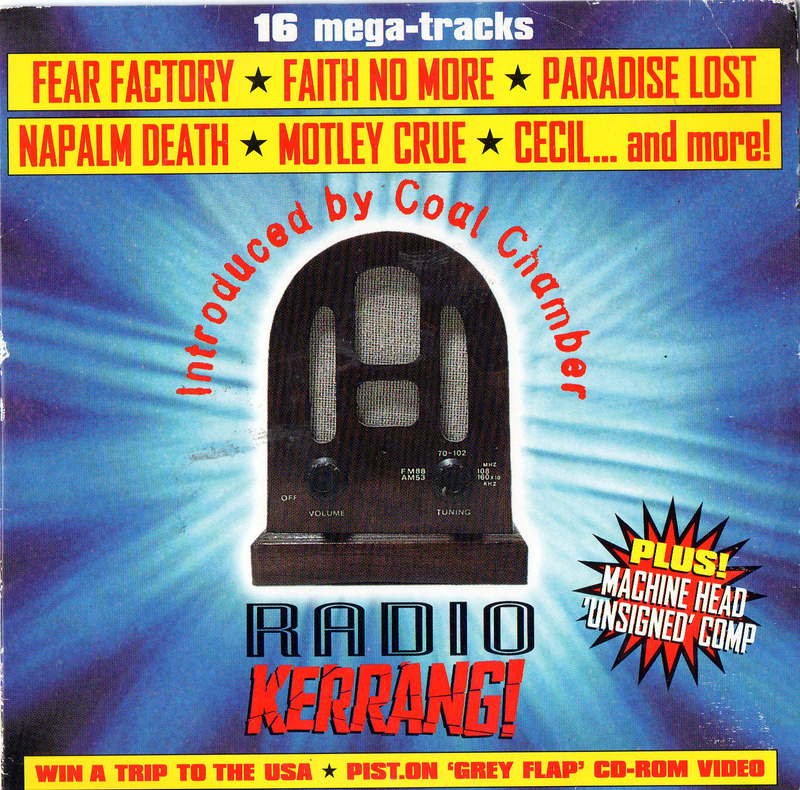 However the track was made available sometime before on Radio Kerrang CD free with issue 649. 'Stripsearch' is a supremely atmospheric chunk ol sci-fi funk that succeeds despite the lack of any discernible chorus because it sounds just fantastic. Young Gods producer Roli Mosimann has worked his usual magic here, 'Album Of The Year' sounding so good that even if there wasn't a sniff of a decent melody anywhere (which is always a risk with Faith No More) you'd still come back to it time and time again to marvel at the full-blooded luxuriance of the thing. The song "Stripsearch" was a prime example of Mosimann's magic. Roli programmed the beginning of the song, but then he took a drum loop from the intro, chopped it up in [Steinberg] ReCycle, and matched each piece of it to Puffy's drum track, one by one. I think he said there was something like 30,000 edits, or something ridiculous like that. But that was the kind of thing where it's Puffy playing so it doesn't sound like a machine, but it really makes a difference, Coming from an analog recording background, we would have never thought of doing things like that. But still, those weren't extreme edits: It was just putting little sounds in there, making it grittier, and it made the whole sound change. The loop in the beginning made such a difference. Before we put it in, the song sounded more like Queensrÿche. But after the loop, it sounded more like Portishead or something. It gave it a darker, different slant. It didn't sound like a rock band anymore. The kernel of that song came from John Hudson, our guitar player on the last album. Writing wise, we just weren't speaking the same language as Dean, the guitarist we were touring with, I had known John for years, and he said he could provide what were looking for... so he produced this midi file of an idea he'd had and it was pretty good. We changed it just a little bit, but it was his song. The most amazing thing was he wrote a song which worked with us and we didn't have to teach him to do it! Musically we connected. I think he was the first guitar player we had where that happened. The video was filmed in Berlin and was directed by Philip Stolzt, who is most well known for his work in opera. The film is based on a screenplay written by Bill Gould and filmed with stark lighting and very little colour so that the result is one of the most dramatic and gritty Faith No More videos. Mike Patton takes the lead role with the other band members cameoing throughout. In the video, Mike Patton walks through parts of the city. At about half way through he arrives at a military checkpoint and stands at the back of a queue also containing the other members of the band. When he reaches the front, he hands over his passport for inspection. The man inspecting it finds something wrong with the papers and calls the guards on Patton, who tries to get away and is pinned to the floor at gunpoint and arrested. The video then shows still images set earlier in the day, highlighting previously unseen details that point to Patton being a criminal.